The endurance storm of the past year appears close to becoming a Category 5 hurricane. There were hopes that the long process of reform driven by the FEI in the past year would see the sport leave behind the welfare and drugging controversies centred on several Group VII nations in the Middle East, but that may well prove to be a forlorn dream. The largely unspoken fear throughout the reform process – at least on an official level – has always been that the Middle Eastern nations will not be able to reconcile the new rules, which come into force on August 1, with their aggressive style of desert racing. The evidence that emerged from last month’s Compiègne CEI event in France would lead many to the conclusion that the gulf between what Western nations consider is acceptable in the sport of endurance and what the Middle Eastern nations think is OK is perilously close to insurmountable. The events of Compiègne prompted five well-respected French endurance vets to pen an open letter which provides a sorry litany of issues that give rise to serious concern. Ironically, it came just hours after the FEI gave the nod to rules to clean up endurance. The eye of the hurricane is centred firmly over Compiègne and the winds have reached damaging force. I would be the first to accept that the FEI’s rules of endurance aim to place horse welfare at the forefront of the sport, but events described by the five vets should have alarm bells ringing everywhere. In my view, the sport is getting dangerously close to raising the ire of animal welfare agencies, and that has the potential to bring even more damaging publicity. So, what did Christophe Pelissier, Pierre Romantzoff, Antoine Seguin, Jean-Louis Leclerc and Agnès Benamou-Smith have to say? They reported being tired, puzzled and bitter after the long weekend of endurance in Compiègne, where they all acted as veterinary officials. However, Compiègne saw what they described as “an unstoppable wave of horses from all over the world”. Horses, they said, were ridden at very high speeds on the difficult but fast trails of the two CEI events. “Late entries of many participants had led to some under-staffing of judges, veterinarians and experienced official stewards, in the grooming area and along the course. “The jury did well to organise the vet-gate in order to pass fair judgments, but it also had to cope with constant intense pressure from some competitors who constantly aim to appeal against judgments and try to cheat systematically. The vets’ assessment of the reasons for this sorry state of affairs represents a damning indictment, in my view. They continued: “Our analysis of the reasons for this situation is that current practices of endurance in some Group 7 countries is very far removed from the original spirit of our sport. “These riders no longer follow the principle of making the most of the horse’s performance on the day by listening to their mount, but push their horse beyond its capacity, of which only a few of the best manage to tolerate the harmful effects. Veterinarians did manage to stop “over-run” horses in the vet-gates, they reported, and hardworking vets in the hospital managed to treat many horses successfully. They were, they said, compelled to express their deep concern around abuse that they were not familiar with in European endurance until recently. The veterinarians stressed that advances had been made in the care and supervision of horses in endurance since the early days of the sport. However, responsibility for the health and wellbeing of racing endurance horses cannot solely rely on veterinarians, judges or rules, they said. It was, they added, impossible for monitoring vets to know if an endurance horses had received appropriate diet, adequate training, and sufficient water. “It is always for the rider and its team to know the horse best and be tuned to its needs,” they said. They said the kind of professionalism that had developed in the sport, and the recent emergence of “jockeys” who knew nothing of their mount’s training or management, were not conducive to the mutual understanding needed between each endurance horse and its rider. “Such practice of riding a horse at short notice, although routine in flat racing, is pejorative in endurance,” they suggested. “Veterinary checks as they were originally designed implied a perfect cooperation between rider/trainer, who knew their horse thoroughly, and a veterinarian, who was using their skill and medical experience to detect signs of fatigue. “At present, we are unfortunately faced with some riders who barely know their horses, do not respect them, and who are in the habit of cheating, lying and concealing information. The vets said horses were being put in grave danger by what they considered to be unethical and unsportsmanlike practices. They also raised concerns around the difficulty and costs around detecting doping agents and their masking agents. They said close monitoring during training and particularly during races needed to be implemented, but acknowledged this would involve great complexity. They called for strong measures to prevent abuse, in particular around doping. 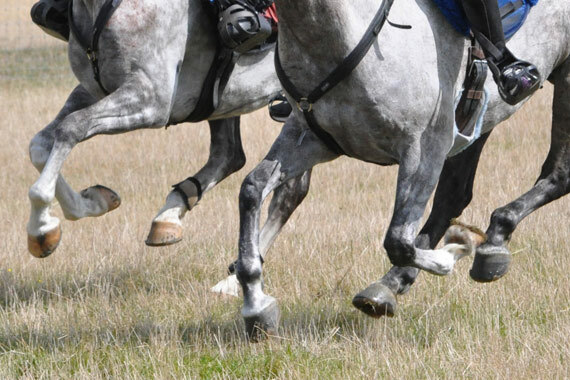 “Only through tighter controls could the sport of endurance maintain respect for horses. “There can be no compromise within our region,” they said of Europe, “but we also have to make a clear commitment in regions where endurance suffers the most reprehensible excesses”. Quite frankly, it is hard to imagine a more damning account of issues within the sport. We are little more than a month away from rule changes aimed at reining in the excesses seen among some within the Group VII nations, but nothing seems to have changed. We are two months away from the sport’s showcase endurance event at the World Equestrian Games in Normandy. On the basis of what has been described at Compiègne, a veritable army of officials and veterinarians will be needed to safeguard the horses and ensure a level playing field for all competitors. I am reminded of the words of Andrew Finding, the chairman of the Endurance Strategic Planning Group, which drove the endurance reforms set to come into force in August. Well said, Dr Sheahan. Now the FEI has to make it so. AA good article,but FEI is just writing some stupid new rules insted of focusing on a problem. Why? It`s obvious. How FEI will control the National evens from now on?It is not said clearly, even anyhow.